Booksigning! Gary Fillmore's "All Aboard! The Life and Work of Marjorie Reed"
My old friend Marjorie Reed, famous woman painter of the last century, is being honored with a new biography of her life! Gary Fillmore has written "All Aboard! The Life and Work of Marjorie Reed" which is being published this month! We are holding the first Book-signing in the gallery to coincide with our Western art show! 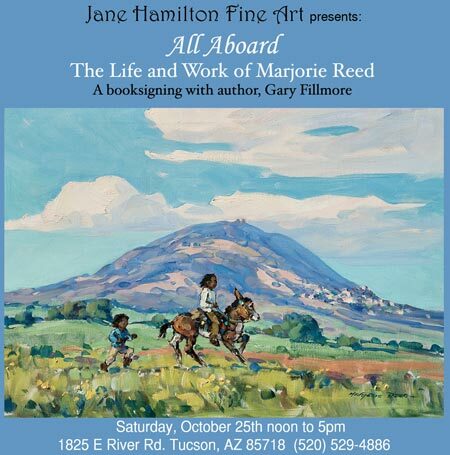 Come meet Gary Fillmore and learn all about Marjorie Reed on Saturday! We'll have the book for sale in the gallery!